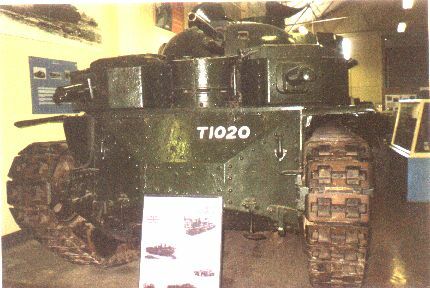 This was the first and most influential of the multi-turreted vehicles. 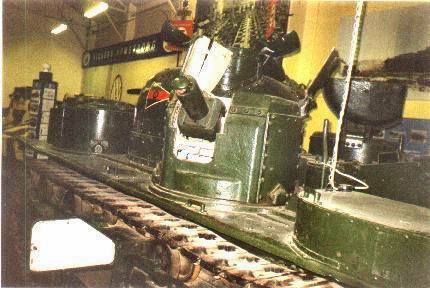 Its descendents included the Soviet T-35, T-100, SMK, and T-28 and the German PzKw V and VI Neubaufahrzeuge. 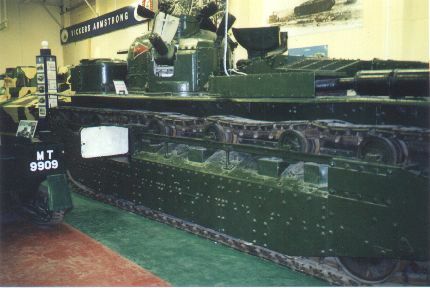 It underwent extensive trials in Britain, but no vehicles beyond the prototype were ordered or constructed. In Britain its relatives were the A6/Medium Mk III and the 3 turreted A9 Cruiser. 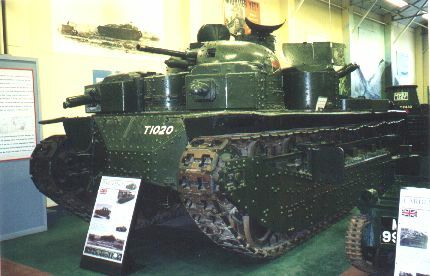 Remarkably the Independent has survived and is to be seen at Bovington. Regrettably, Medium Mk III did not survive WW II and recycling for metal. Track plate width 16 in. Main One 3-pdr. QF gun (47 mm.). 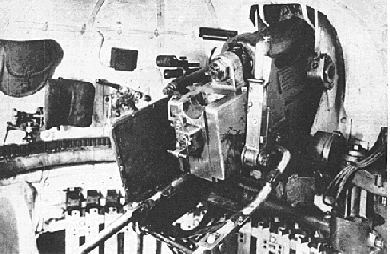 Secondary Four Vickers machine-guns, one in each of four subsidiary turrets. V.1 2 air-cooled. An inertia starter was fitted to supplement the inadequate electric motor. Transmission SLM or lorry pattern gearbox. Four double bogies (four wheels 15 in. diameter) each side plus one single bogie (two wheels 24 in. diameter) fore and aft. Coil spr靚gs in trunked guide.